Anna is the Director of Client Care and Marketing for Zeiser Wealth Management, LLC. Anna has a strong belief in providing extraordinary client service and in her role has the opportunity to help insure each client is served well at ZWM! She is challenged to continually work to improve “the client’s experience”, from a client’s initial meeting, to follow up plan and investment reviews, assistance with online client account and wealth plan access, and coordination of client events throughout the year. You will certainly get to know Anna and her contagious smile as you experience our firm. 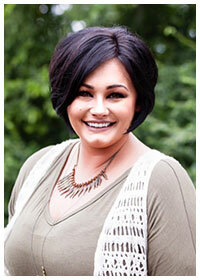 Anna brings twelve years customer service experience with her to Zeiser Wealth Management. She also has expertise in banking and event coordination. Anna is a Hot Springs, Arkansas native. Anna spends her time away from work chasing her three boys, Gunnar, Ethan, and Tucker who love all kinds of sports. Anna and her family attend New Life Church in Hot Springs.